Creating a personal statement is not that easy. Leaving the structure issues aside, the process of opening yourself up to a stranger can be a very difficult trial to many people. After all, the person who reads your statement would be interested in getting to know you from what you present in your application papers. Some people try to find an online personal statement sample, so they can use it for reference when writing their statement. That might prove to be helpful if you have one good sample. The only risk you might encounter in this case is the temptation to copy sentences or quotes from such online personal statement samples. It is highly recommendable for those who want to rely heavily on their writing on a personal statement example, to write their own statement first. Then it would make sense to compare your statement to the sample to make sure you have not missed something important, that should be in the statement. This way, when creating your own statement, you will protect yourself from using, even unconsciously, other people’s ideas. A sample statement contains, firstly, a little introduction about why the person applying for a certain course is interested in studying such a course. The person may write a couple of things about his or her background that will explain the reason behind such choice. After the introduction, the time comes to sharing some of the activities in which the person has been involved. After mentioning these activities the applicant explains what in this activities captured his interest and made it worthwhile to spend his time on them, and a little explanation about what he learned and how this affected him. This is followed by talking about skills or studies that the applicant possesses, and he might include job experiences. These studies or job experiences need to be also related somehow to the course he has chosen. The applicant should mention afterward some of his qualities and strengths that make him a good candidate to study such course. He might mention in this part on how these qualities will help him to succeed in years to come to make it possible to reach his goals. When writing your own statement, it might be a good idea to use one of our own published winning samples for reference. Choose carefully when you decide what statements you should use for guidance, because requirements of statements might differ vastly, based on where you are sending your application, so keep this fact in mind. Always make sure that the sample you fashion your own statement after follows the recommendations, that your university or company provided on how to properly write the application documents. The universities usually provide an example of all application papers they are expecting from students on their website, where you can look for samples and find some useful guidance information. The universities publish those samples to help the future applicants get an idea about what kind of statements the committees are looking for. Remember, that it does not really matter whether you have the same experience or skills, as the ones the person from the referring template statement has. What matters most in your application papers is whether everything you have written is true or not. The statement is all about you, and you only. 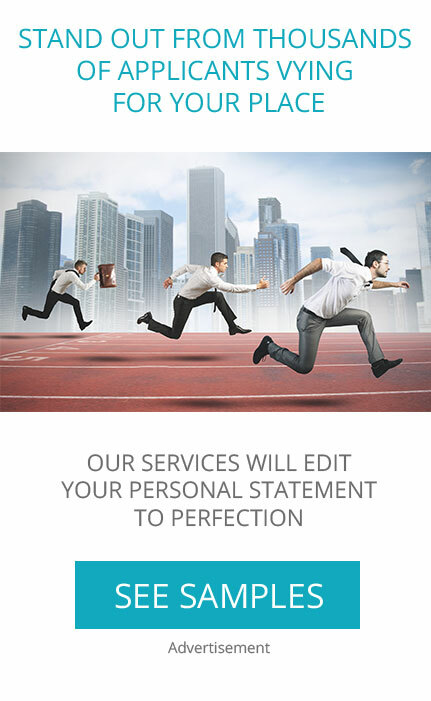 As long as you present an honest, well-structured statement, without spelling or grammar mistakes, you will do just fine. Organize your thoughts in order to start writing and select wisely, which sample its best to use for reference.